Home > Ask Our Experts > What Are my Rights on a Faulty Television? Q.I bought a 37" LCD TV,17 months ago from a well known electrical retailer. The TV now keeps turning itself off. The shop guarantee ran out 5 months ago,do I have any rights?. If your TV is faulty you can reject it for a full refund within 30 days of purchase. If it's more than 30 days but less than 6 months since purchase, it's presumed the fault was there at the time of purchase (and it is up to the retailer to prove otherwise). The retailer should replace or repair the product at this stage - although the retailer can usually choose which of these options to take. After 6 months the onus is on you the purchaser, to prove there was a fault when the item was purchased and the failure isn’t due to misuse on your part. The simplest way to prove this is to ask a qualified television engineer to provide a report for you. If you can prove the fault is not down to you (the expert opinion will be needed) then the retailer should still offer some sort of recompense depending on the price you paid and how long you would expect the item to last. 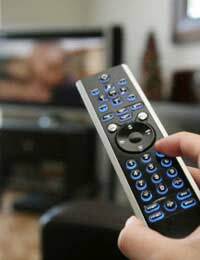 At this stage however, it's likely you might need to use the court or small claim court to pursue your case if you want to suggest that the TV is not satisfactory or fit for purpose. You'll need to do some research on the length of time an LCD TV of this standard/price would be expected to last and prove that you used it according to the instructions. Citizens' Advice will be able to advise you further. It's also worth checking too see if there is an additional "manufacturer’s warranty" that applies to the television. Hi there I brought a 55” LG L.E.D from Argos in January of this year thinking I was literally getting a bigger version of my 43”. What LG are not telling you on the box is that the technology inside is useless! Global dimming is ruining the tv viewing when watched in dimmed light like as if you were going to the cinema! It auto corrects the contrast and big vertical which shadows appear on the screen! You can not turn this off! LG said they won’t do anything about it! But if knew about this when purchasing the tv I would not of spent £600! It’s awful and I mean awful and I want my money back! I honestly think I’ve been miss sold a tv by LG and I’m not happy! They should be telling people about this incapable technology! I Purchased a LG 55" OLED from a shop with receipt £1,600 Guarantee 1 year, after 18 months it has big green lines with writing on and green spot's,I rang the shop they said ring LG they replied we don't guarantee this. How can you make a TV then pick and choose what you will guarantee ? I was not told of Screen burn when I bought it, I don't play games at 73,This OLED TV is not fit for purpose, it should last more than 18 months, what redress have I ? Got nowhere with the shop, same with LG, It's all a CON. I purchased an LG tv 2 years ago from Argos costing almost £400, it has now broken down. My previous tv from Argos broke down after 12 months, I now wonder if these tv sets are not seconds or refurbished sets for this to happen so soon after purchasing.I must point out that I am a low user of a tv set which makes it even more disappointing and surprising. Have a tv which developed a fault within one year of purchase. Engineer sent. They confirm the tv is beyond repair and will need replacing.However, the tv I bought is no longer available and they are forcing me to accept a tv of their choice. I do not want the tv they are offering as its reviews are less than great. I want a more expensive tv and am happy to pay the difference to have the tv of my choice. Do I have to accept the tv they are forcing on me? I did not choose the tv they are offering and seem to have no say in the matter. The original tv was close to a grand. At this stage, the retailer can choose whether to offer a replacement or a refund. As long as the product is of equal specification to the one it's replacing, we don't think there's much you can do here. It might be worth checking further with specific details of the products to Citizens' Advice. I have just had a 55" tv delivered which I purchased from TescoDirect. It arrived with serious manufacturing faults. Tesco inform me that they have used another company to supply this tv. This other company (BOX) want me to put the tv onto its foot and take pictures. It is a big item and I am a senior person. Surely, Tesco are responsible for sorting this out for me, not a third party. I purchased a Samsung LE40D550KIWU 40" full hd TV from Comet in October 2011.Have been told by Samsung TV should last between 4-8 years.Lines have appeared on screen and Samsung registered repair company have quoted £410.45 to repair as it needs a new screen.Samsung Warranty (1 year) has run out and they are refusing to do anything with regards to repair, exchange or refund.No extended warranty taken out on TV and Comet went bust.Do I have any consumer rights whatsoever to pursue this further? I bought a LG 42 in Plasma TV 10 months ago, a patch on the screen as turned gold, this can be seen with the TV off and when watching TV it is noticeable. I have been told by a TV engineer that it apower supply fault. The TV was returned today still with the golden patch. I have refused to accept the TV back as the fault is still there. I was told I cannot do that, the reason being is that the TV works. Bought a dishwasher from club book,had it for 13 months and the motor stopped working phoned the manufacturer who told me to phone the retailer. They are offering to pay repair which is £150.00only if I pay for the repair first then send them the invoice for the repair is this right that I have to be out of pocket to get this sorted? surely something should last a reasonable amount of time especialy something costing more than £200 so would it not be the case that the TV was not fit for purpose ? If Mr Graham had bought his TV anywhere else in Europe, other than the UK, his rights to return the faulty goods would be enshrined explicitly in EU law. Unfortunately,the amendment to UK's Sale Of Goods Act (1979) does not go far enough to make it explicit, it just implies the goods last a "reasonable" amount of time. It is worth noting, the EU law seeks to encourage manufacturers to make goods that last and so avoid the current wasteful disposal of 2 year old washing machines and the like, while the UK seems to be clinging to the economic model of "growth by replacement", which is reflected in the huge piles of consumer goods that died years before they should have. If Mr Graham is determined, he will get satisfaction, whether this be at the small claims court or ultimately in a higher court that will recognise he is a EU citizen and therefore entitled to the same protection as all others, regardless of the fact he lives in the UK. I too have recently started correspondence with the supplier of my LCD screen, which stopped working, just under 2 years after purchase. The outcome is assured, the path it takes and the number of courts we have to go through, well we just have to see. Don't forget, you are an EU citizen and regardless of how the UK tries to water down EU policy, EU courts overrule UK courts every time. I would suggest the moniker "Rip Off Britain", be reworked to "Amateur Shoppers" as it is our own fault for allowing ourselves to be ripped off.